As it is generally observed, in many naturally occurring processes, material is added on previously formed matter and typically this does happen in layers. This naturally occurring behavior can be seen in the formation of trees, where the tree trunk grows in diameter by adding a layer of new wood in the cambium layer every year. As successive rings are added, the tree trunk and branches grow in diameter, and by counting the number of rings the tree age can be estimated. Similarly, a pearl found in nature is composed of calcium carbonate in minute crystalline form, which has been deposited in concentric layers, or sedimentation in the geological sciences, which is the process of deposition of a solid material from a state of suspension or solution in a fluid (usually air or water). Like nature, and unlike most conventional manufacturing techniques, Additive Manufacturing (AM) is a groundbreaking manufacturing technology that forms objects by building them up, therefore, material is added only where is needed and as much as needed rather than being removed and thrown away. Paired with computer-aided design (CAD) software, this technique allows the creation of new types of objects with unique material properties. Key advantages of AM include design flexibility and freedom, design optimization witch results in lighter and more complex structures, massive material usage reduction with great economic and environmental benefits, lower volume, cost & highly responsive production resulting in faster lead times and improved supply chain management. Nowadays, with its numerous advantages, Additive Manufacturing (AM) has completely revolutionize the way different parts are designed and manufactured in many different industry sectors like rapid prototyping, tooling, automotive, aerospace, dental, and human implants. 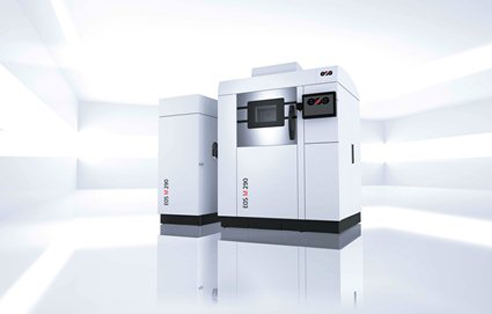 Among the different types of AM technologies, there exists one technology namely DMLS Direct Metal Laser Sintering with phenomenal results in part quality, and its mechanical properties. 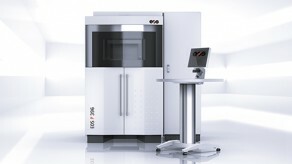 DMLS technology was developed from EOS Gmbh Electro Optical Systems situated in Krailing-Munich area, Germany. For more information regarding DMLS technology and applications on different industry sectors please click here. 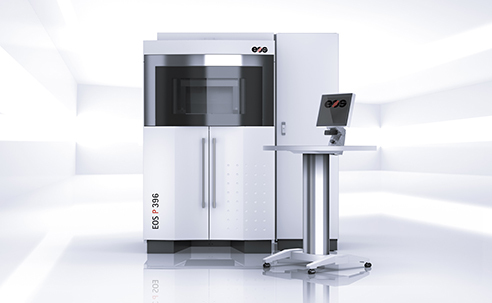 For the production of metal components using DLMS (Direct Metal Laser Sintering), EOS offers a comprehensive selection of metal powders ranging from aluminium, maraging steel and high-grade steel through to titanium as well as nickel and cobalt chrome alloys. This allows highly individualised products to be manufactured in exceptional quality. Integrated Process Chain Management for EOS Metal solutions guarantees top product quality for both Rapid Prototyping and series production. 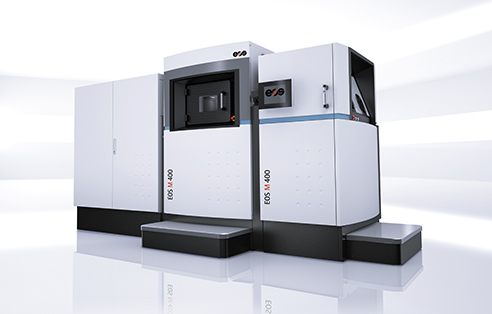 It improves the productivity of Additive Manufacturing Systems and thus increases the efficiency of the process.The material management process for the EOS Metal solutions has a modular structure. The individual components can be implemented flexibly and independently of the manufacturing system. Integration in existing production environments is easy – either as a module package with all components (EOS M 290 and EOSINT 280) or in the form of individual constituent parts (EOS M 400). 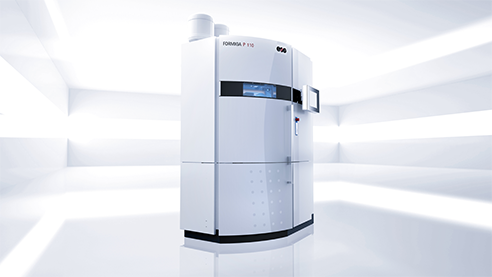 FORMIGA P 110 is a flexible, cost-efficient and highly productive system for the Additive Manufacturing of polymer parts. This compact system is ideal as an entry into Additive Manufacturing, for example for cost-efficient small series production, customised products with complex geometries and rapid prototyping applications. Without requiring tools, the system makes direct use of digital CAD data to produce polymer parts of the highest surface quality to a maximum construction height of 330 mm. 3D scanning is a process of determining the shape of an object in three-dimensional space. By scanning a model object we collect in a computer system the 3D scan data and therefore we have the ability to recreate a high resolution, accurate 3D digital model of the real-world object. 3D scan data is often used as a bridge between physical objects and modern manufacturing. This is achieved by converting the data into computer-aided design (CAD) models, using it to compare against the “as-designed” ideal of the part, or using it in computer-aided engineering (CAE) applications. The devices that capture 3D information are referred to as a 3D scanners. There are many different types of scanners.